The Mayfair Apartment Homes are situated in the historic Algiers neighborhood of New Orleans, just seven miles southeast of downtown. Set on well-maintained and verdant grounds, our luxury community is well positioned for students, homebodies, professionals, families, and everyone in between. Take advantage of the short commutes to local schools, like University of Holy Cross, as well as daily necessities, like Winn-Dixie and Chase Bank. Plus, our location offers easy access to Charles De Gaulle Drive and US-90, so it’s easy to go downtown for a concert, dinner, gallery opening, or a night of revelry. See why life is better at The Mayfair Apartment Homes. 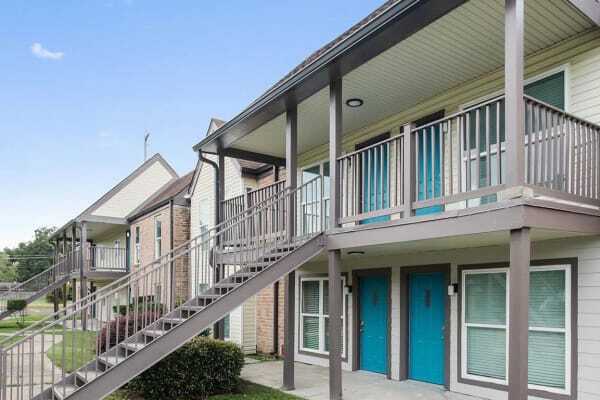 To see our neighborhood in person, call a member of our leasing staff today to set up your tour of our apartments for rent in New Orleans, LA today.